Bars and clubs at the University of Florida are kind of like people; each of them is so unique that it has its own reputation and purpose. The UF nightlife scene is so large, only one event can cover it all. At the end of each year, there is an event called Gator Stompin', in which admission grants participants free drinks at over 80 bars and clubs in Gainesville. If you can make it through each and every one of these hotspots by your senior year, you know you've done it right. On Mondays, Wednesdays and Fridays, students clear their minds and go to Midtown, a strip of bars right across the street from campus. Check out Grog for Beat the Clock and throwback music, Cantina for free cover for girls and Shuck if you really just want to dance. 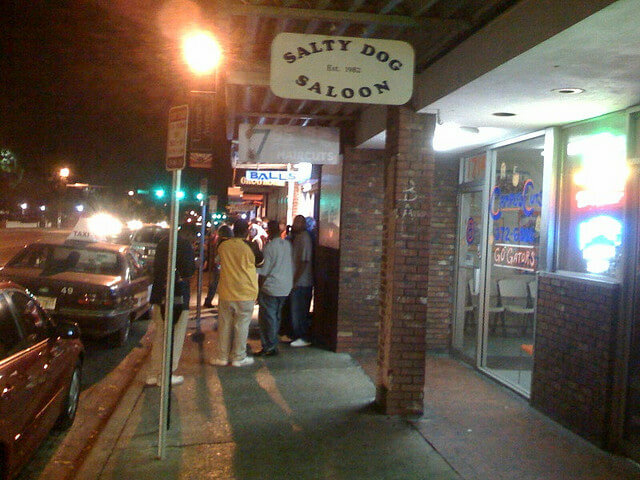 If you’re of age, most people go to Balls, Salty Dog or Fat Daddy’s. Midtown every night would get old, right? Most people get on the Later Gator and head downtown on Thursdays and Saturdays for a night of clubbing. Currently, the most popular destination is Chateau, but it changes every once in awhile.